It’s almost Bonfire Night here in Majorca, but it’s not only this weekend that our pets are exposed to fireworks. 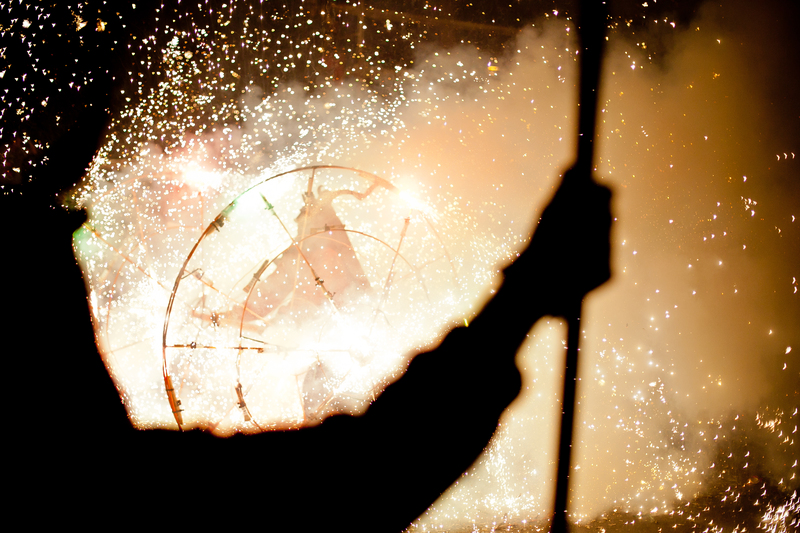 Majorca’s fiestas, Corre Focs and New Year’s Eve mean that fireworks are used much more than just once a year. Make sure your dog gets plenty of exercise earlier in the day. Keep your dog inside during fireworks, preferably with human companionship. If it’s hot, air conditioning will help. Bringing your dogs to a fireworks display is never a good idea. Provide a safe place inside for your dogs to retreat. When scared of sounds they can’t orient, dogs often prefer small enclosed areas. If your dog is comfortable in a crate, that is a good option. If possible, keep the windows and curtains closed. Covering the crate or lowering the blinds can also be helpful. Removing visual stimulation can also help calm dogs. Make sure all your dogs are wearing ID tags with a properly fitting collar. Dogs do try to run away from loud noises. Leave your dog something fun to do – like a frozen dog chew filled with his favourite treats. There are more advanced interventions that you can try out, such as Sound Therapy, Body wraps (like a sort of dog swaddling) and Scent therapies as well. The animal rescue group Cat, Kitten and Furry Friends, have started a campaign to ask for their supporters to each donate a single euro per month. You can find out more about them by visiting www.teaming.net/cat-kittenandfurryfriendsmallorca. Dogs For U have put out an appeal for foster homes. Do you wish you could have a dog but work away for a portion of the year? You can be a foster carer for one of their dogs. You only have to provide food and shelter and buckets of love and then when you have to go away the dog (if it has not been adopted) can be taken back to the shelter and cared for. This helps the dogs in the kennels to get used to being in a family environment again and also helps the organisation to maybe take another dog which otherwise may have been euthanized due to a lack of kennel space. They really are desperate for good fosterers, it would mean so much to the dogs. Contact cascavalls@yahoo.de or visit www.dogsforu.com.